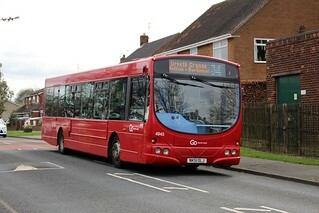 This vehicle has been sold to Ensign Bus Co., Purfleet. 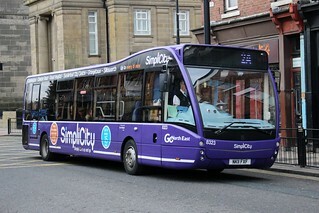 This vehicle has received "Twenty One, 24 hour service" branding. 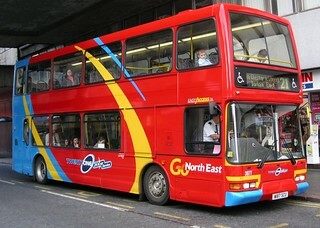 Prior to new branding being launched, this vehicle has been repainted into Go North East's new red, yellow and blue 'swoop-style' fleet livery. 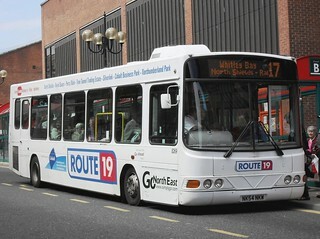 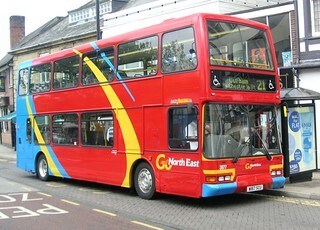 This vehicle has received basic "Route 19" branding, for service 19 (North Shields - Northumberland Park).